As a lifelong Detroiter and an African American, here’s my reaction. The Detroit rebellion of 1967 had the impact of crystallizing an economic blockade on the city that had then been developing for 15 years, a blockade by the bourgeoisie – big capital – something like that on Cuba. There was the bullet and then the ballot, a la Malcolm X in reverse: the rebellion and then the 1973 election of Coleman Young as Black mayor extraordinaire. For this, and really for now being 85 percent Black, Detroit is still under economic blockade punishment by the powers that be. It was also part of a relative scattering of some main points of industrial production from a concentration in the city of Detroit ( and neighboring Dearborn) to the surrounding suburbs. It was a breaking up of the World War II era Arsenal of Democracy, which had many left-wingers, naturally. In a way, it seems to have been a shifting of the location of basic production from the Midwest to the South, from the U.S. to other countries, in what gets termed post-industrialism, post-Fordism, restructuring. The concentrated proletarian powerhouse was busted up and racially resegregated, on the typical American model: Black vs. white. The bourgeoisie cannot really undo what they have done. They are hoisted on their own petard. 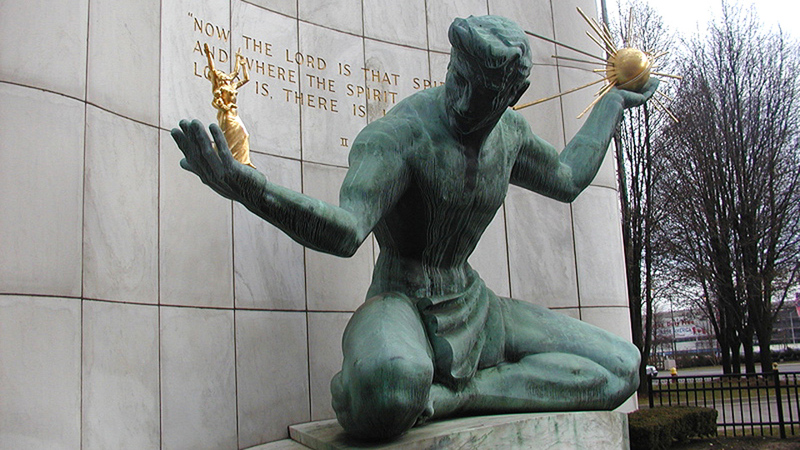 Detroit is a pariah society in the national media still, as the latest Time article shows. White masses are shy to move back into Detroit, desegregate. The bourgeoisie will not invest in an African town like this, with so few white people to benefit. They must blockade us like Cuba, or Haiti. Like the great heavyweight boxing champion of the world, Jack Johnson, Detroit is unforgiveably Black and Proud. Wait, I take that back. They will find ways to invest “in” Detroit, but so that most of the local population will not benefit. They will exploit and “skate” – in other words, con and run, get away without being held responsible for their wrongdoing. So, Time has a cover story saying that poverty in Detroit today is in part due to the rebellion of 1967, cause and effect, politically and economically – case closed. Actually, it’s true. The bourgeoisie are still punishing the rebellion, among other things. Perhaps, Time is making a confession.